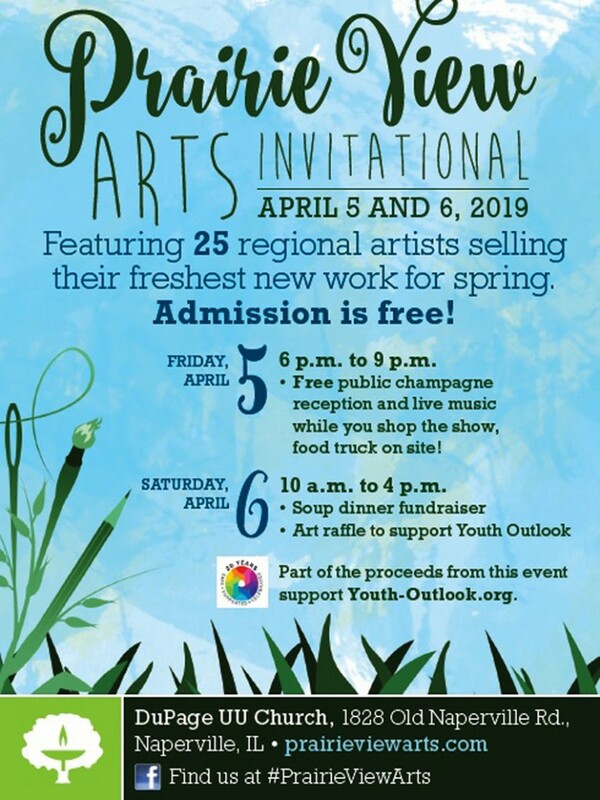 Swing by Naperville tonight or tomorrow for the PRAIRIE VIEW ARTS INVITATIONAL. 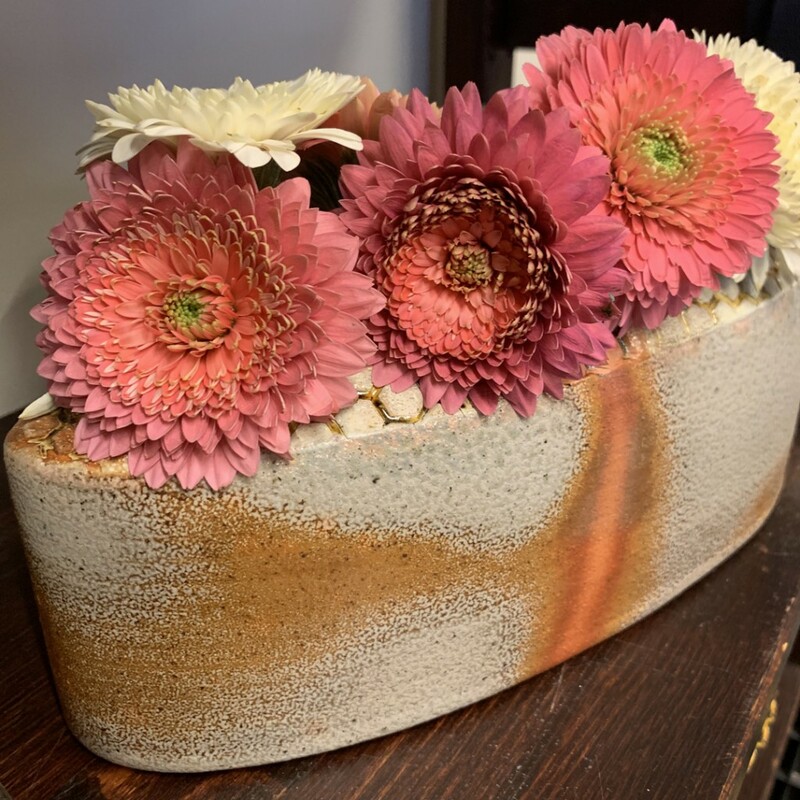 There are so many great artists here… so many of them are My Talented Friends! Always fun to hang out with my art peeps! 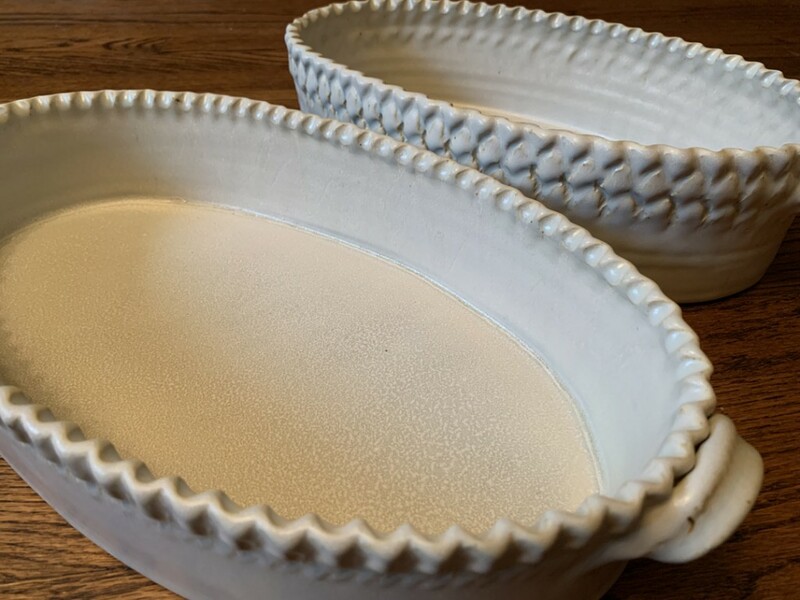 C’mon by for some pottery, just to say HI… or to grab a yummy taco from the Taco Truck outside!!! 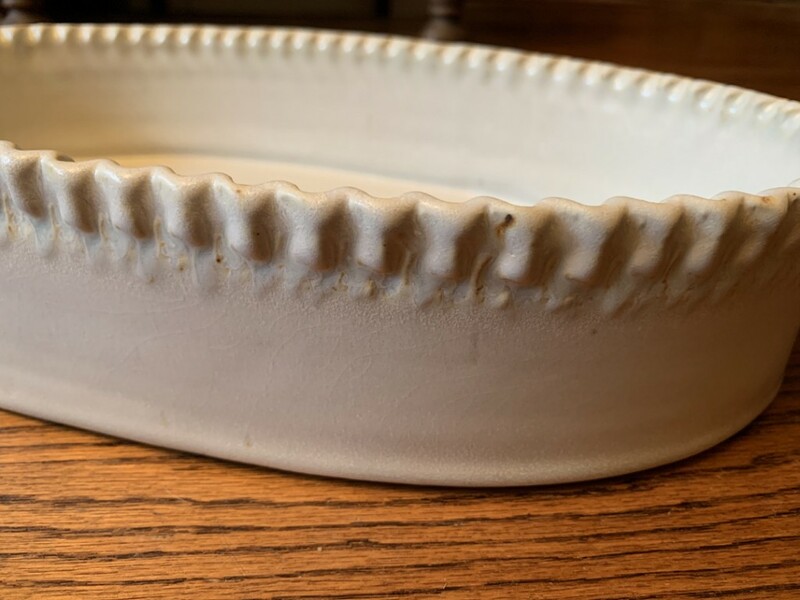 Don’t you love it when you get something fun in the mail… instead of just bills & junk mail??? 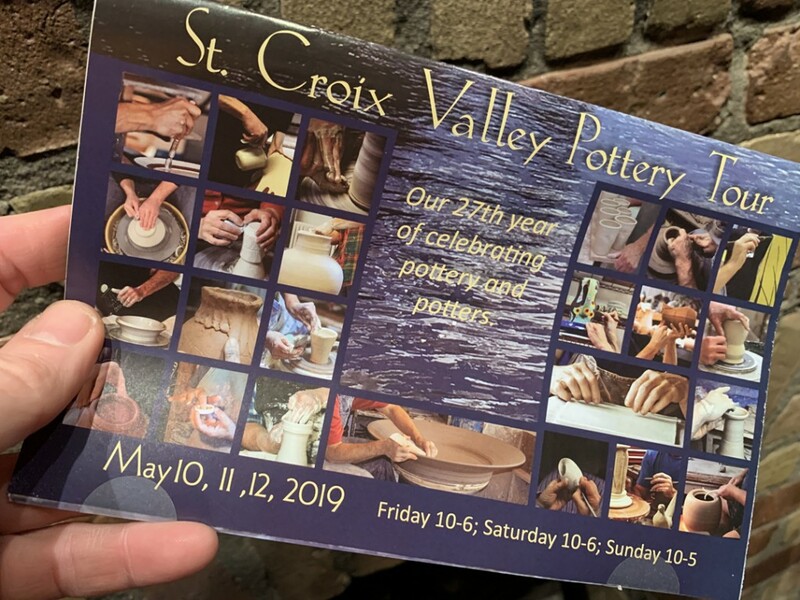 Like the poster invitation for this year’s ST. CROIX VALLEY POTTERY TOUR!! 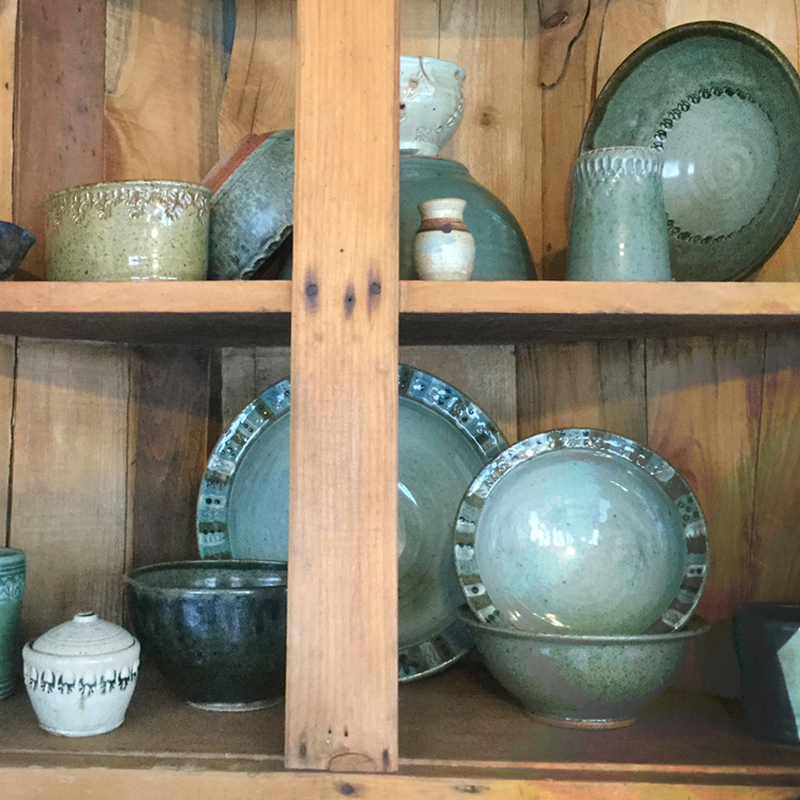 Always my favorite “pottery adventure” every Spring. 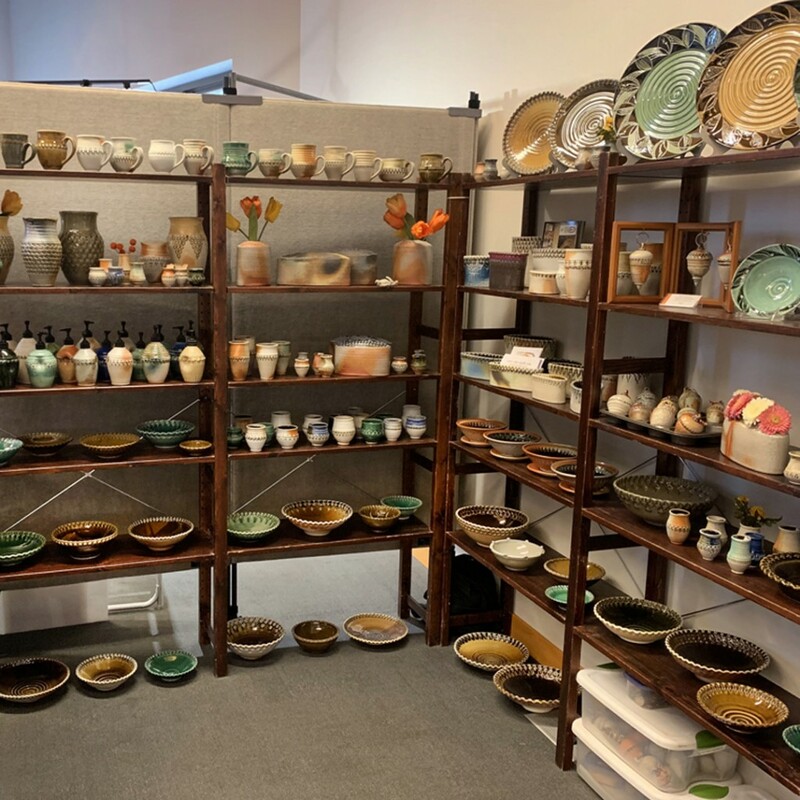 Mark your calendar to head to Minneapolis for the weekend to see a HUGE collection of some of the best pottery around. I’ll be going again to do a little shopping & chatting with some of My Talented Friends! 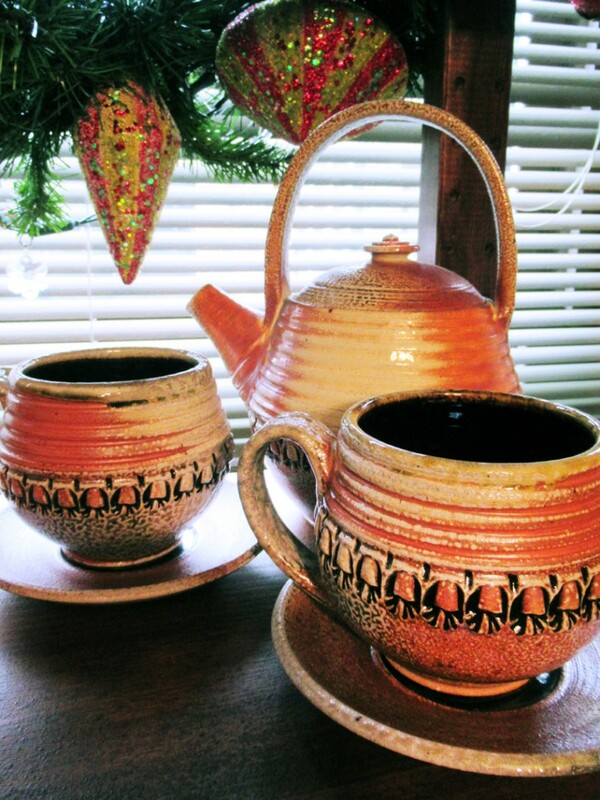 Click here for more information about the St. Croix Valley Pottery Tour. Someone is already “thinking green” during the cold whiteness of winter. 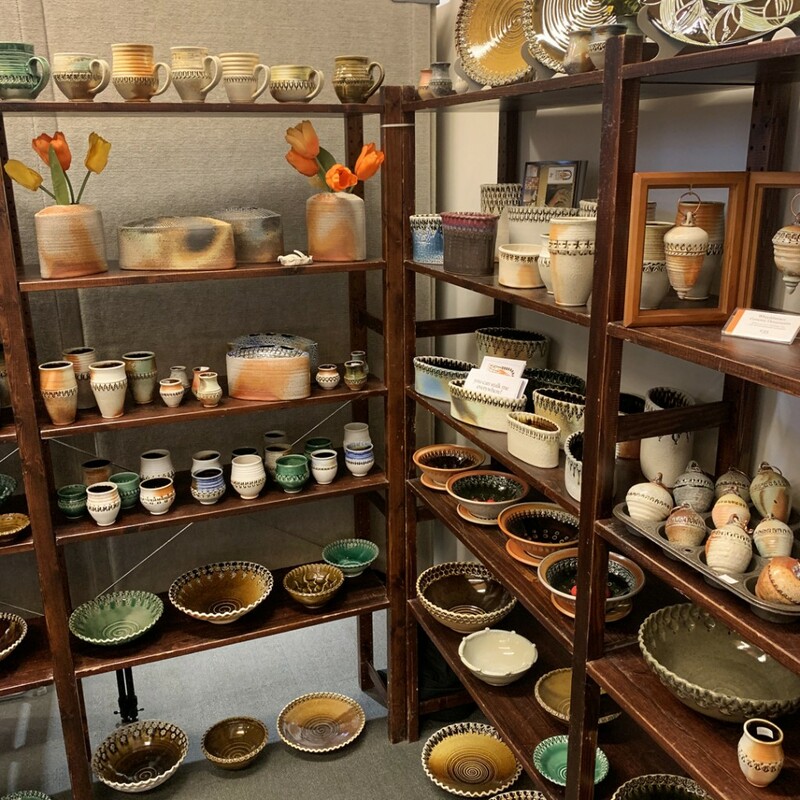 My Peoria friends showing off more of their pottery collection… including some very “vintage” pottery I made way back before I “met” stamping… notice the layered slip decoration on the set of bowls in the bottom right corner! 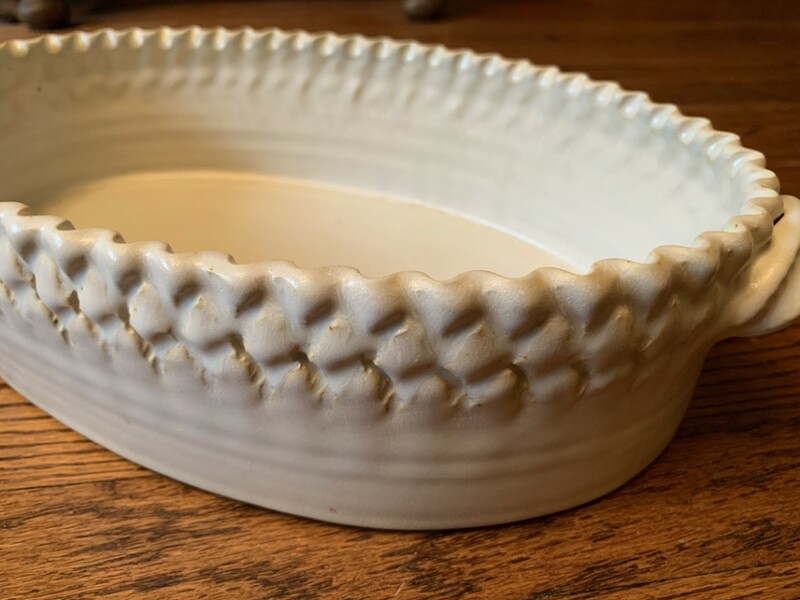 I remember being so proud of those bowls back in the day. Ha!!! 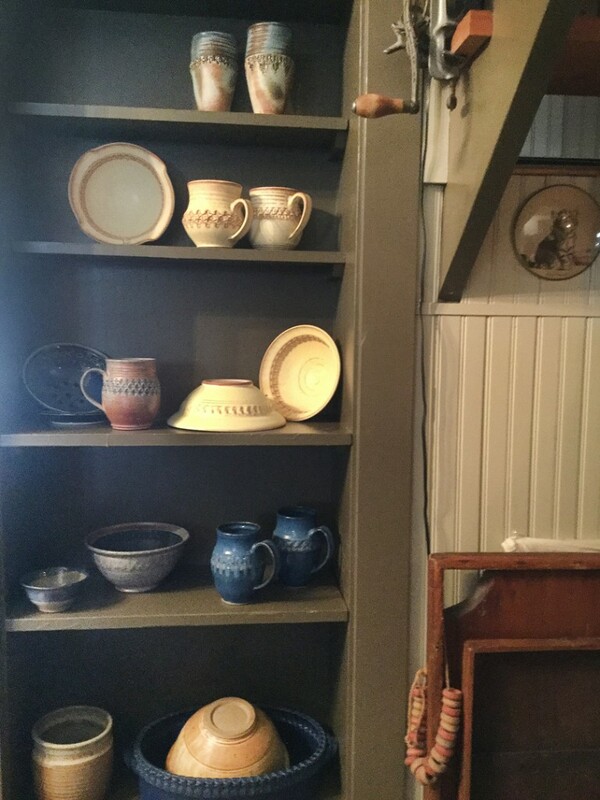 decided to streamline their cabinets and display a portion of their pottery collection. 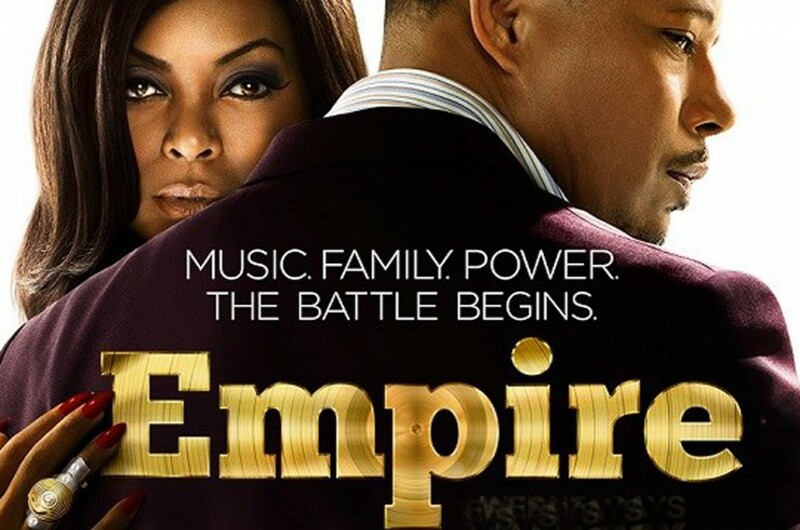 Hmmmm?… that all looks very familiar!!! Thanks Gerry & Rosene! 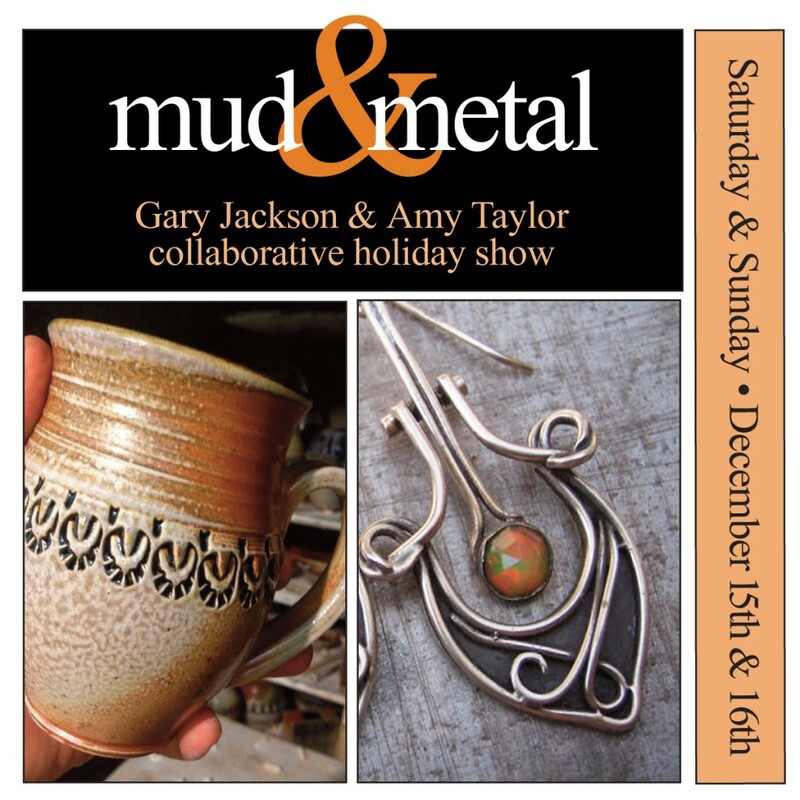 Stop by today… it’s the final day of MUD & METAL : My Second Holiday Home Show with metalsmith Amy Taylor. 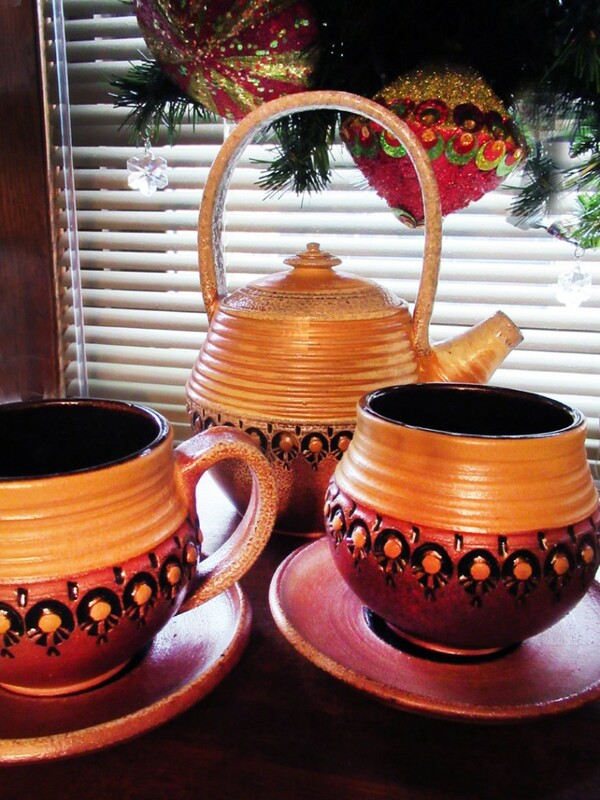 We’re here until 4:00pn with great gifts for everyone on your holiday gift list… even yourself!!! 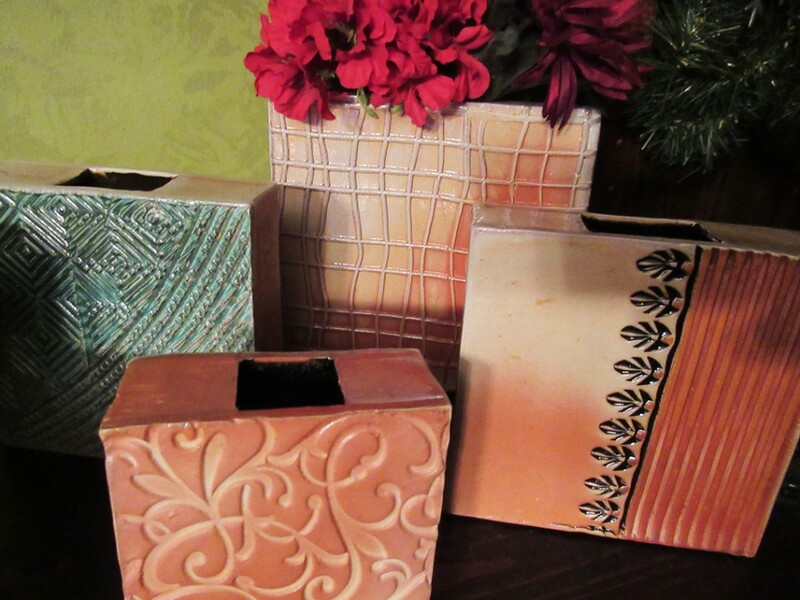 Pottery in every room of my condo at 1353 West Rosemont #3, Chicago 60660… the one with green totem pole in front!!! 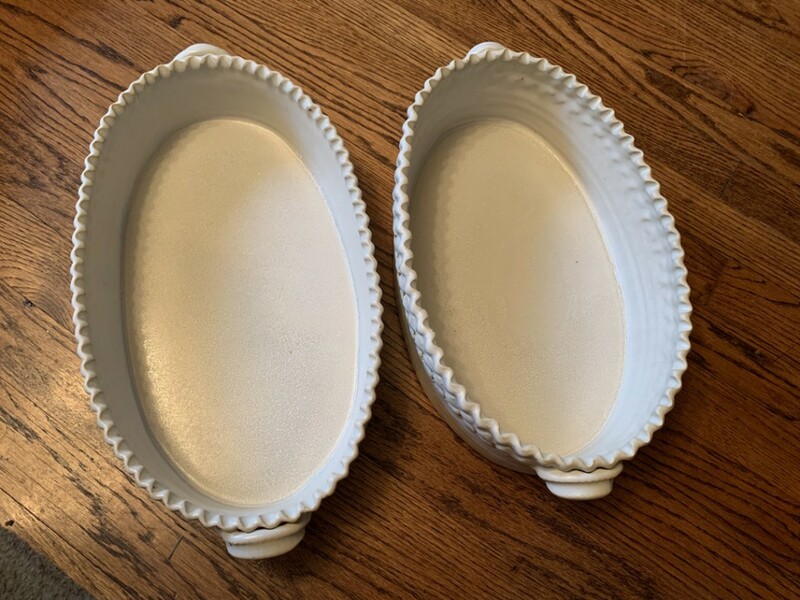 Two days of fun & holiday shopping! Stop by my place this weekend to play with me and Amy Taylor… whether you’re shopping or just hangin’ out on my sofa?!!! 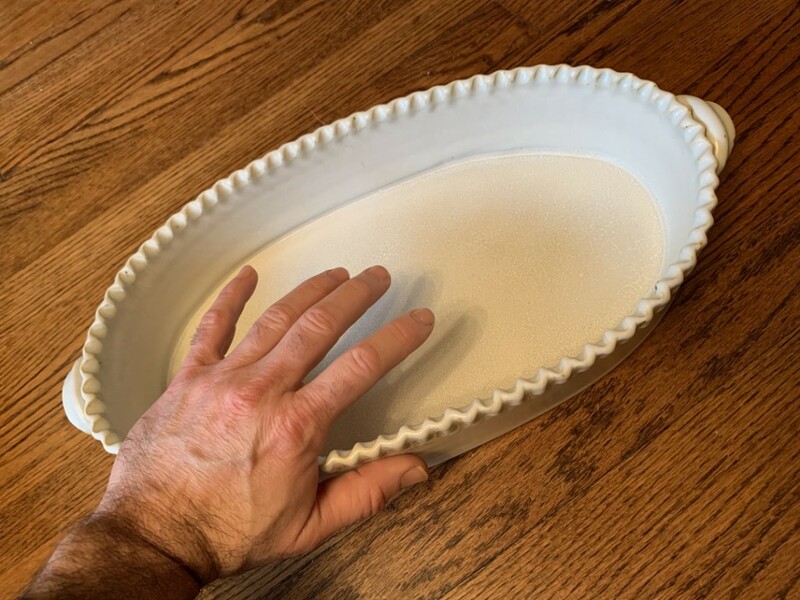 We have wonderful gift ideas in every room of my condo, food & drink, and the ever-popular Tired Of Shlepping Sale replenished on my back porch! It’s my last holiday show of the year! Giddy-up!! !